Like most cities in South East Asia, also Siem Reap has a tropical climate with a dry and wet season. Most tourists visit Siem Reap during the dry season but the climate is mild enough to allow tourists to travel to Siem Reap the whole year round. The dry season runs from November till April. During this period it is sunny, warm and humid. You can experience temperatures between 25 -35 degrees. The best time to visit Angkor Wat is from the beginning of December until the end of January, which is considered as winter time. This time of the year, the skies are clear and the temperature is endurable. It is the best time for sunrises and sunsets. These months are not only cooler during daytime but also at night. The hottest month is April when the Cambodians celebrate Khmer New Year. In this month the temperature will most likely raise above 35 degrees. In the hot and dry season there will be almost none or little rainfall. In the monsoon or rainy season which runs from May till the end of October heavy rain showers can be expected. 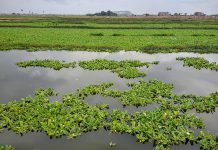 At the beginning of the rainy season it is quiet hot but it rains most of the time only in the late afternoon or early morning. 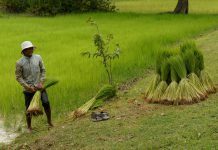 This is also the start of the rice planting season. June, July and August are cooler and rain will fall in the evenings and at night. September and October are the wettest months of the year. 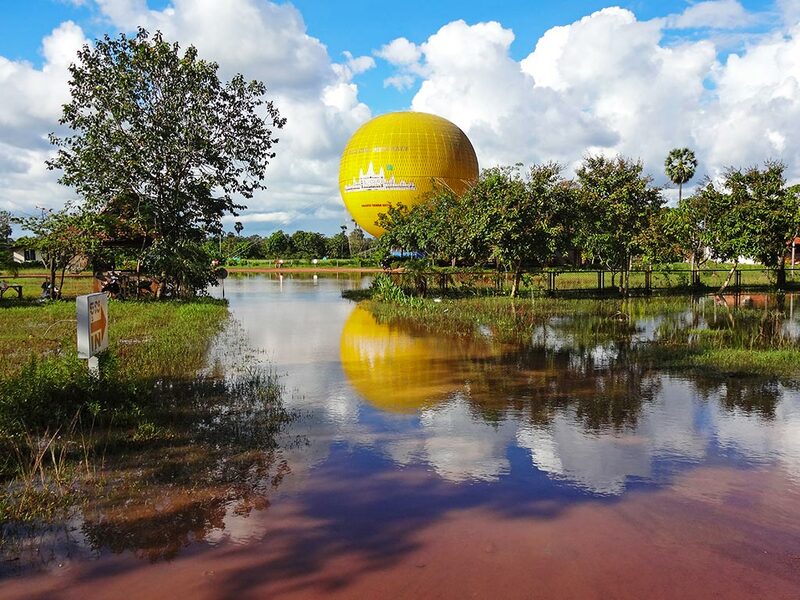 It can rain at any time but don’t let this scare you off in visiting Siem Reap. During this period the landscapes and views are picturesque and peaceful. October is really the best month for photographers. When travelling to Siem Reap you don’t have to fear any natural disasters. The city is well protected from tropical storms and no earthquakes will occur. The only thing that can interrupt your vacation is that the town will get flooded. The river flows through the heart of Siem Reap and can overflow during the month September or October. This is not only caused by the heavy rainfall but the areas around Siem Reap and the water coming from Phnom Kulen flows to Tonle Sap Lake. In 2011 Siem Reap and Cambodia experienced the worst flood in fifty years. 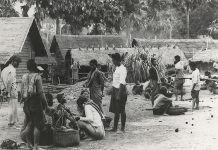 Many rice fields, roads and other public utilities were destroyed. Expansion of the river and improvements in the drainage system are ongoing. Taking measurements are affective as Siem Reap experienced no flooding in 2012. Don’t let this prevent you of visiting Siem Reap during the wet season. Walking with your feet in the water and watching the children playing and enjoying the flood will give you an unique sight and pleasant experience on Siem Reap. 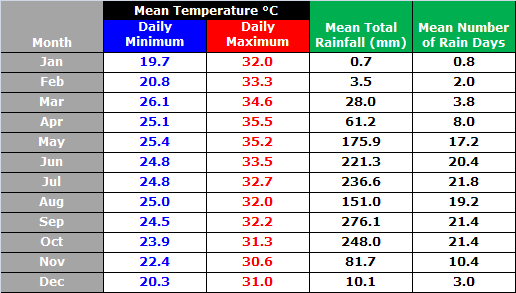 The table below gives an overview of the average temperature and rainfall of Siem Reap for the period 1997-2001. April and May are definitely the hottest months of the year with an average maximum temperature of 35 °C. November, December and January are the coolest but still warm during the day as the temperature can still climb up to 32 degrees. Most of the rain falls during September and October. These two months have 21 days of rain which indicates that you can expect rainfall almost every day. December, January and February are very dry.